Whether it is colour, materials or layouts, kitchen trends will come and go, but knowing which styles will stand the test of time can be tricky. Should you play it safe and stick with a less inspiring – or dare we say, dull scheme. Or embrace that hot new look that may date quickly. Luckily there are plenty of trends that will allow you to find the perfect balance between looks and longevity. Check out these popular trends that are unlikely to go out of style any time soon. Are you wanting a little variation in your kitchen? 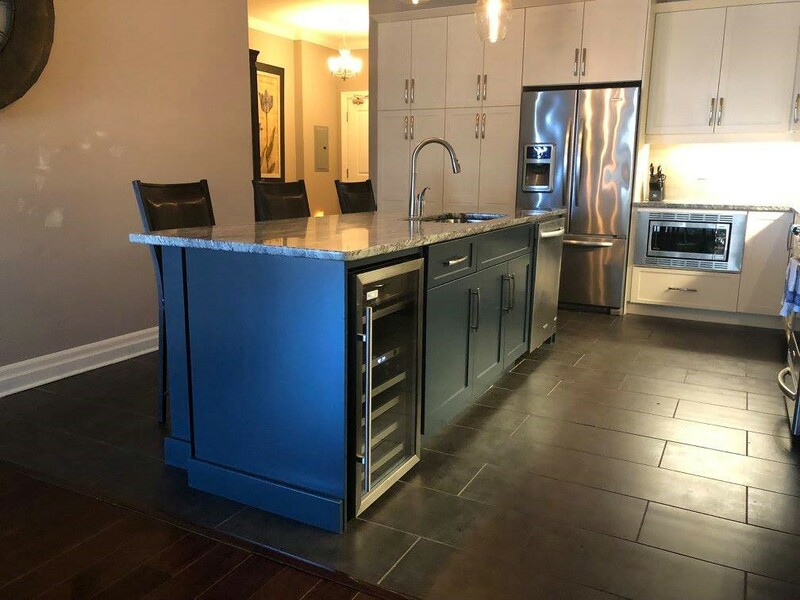 Two-tone cabinetry is a very stylish way of breaking up a block of colour, especially if you are picking the dark kitchen trend. Balance a dramatic fitted unit with a kitchen island painted in a complementary pastel shade. Having a drink cooler, or wine chiller that is separate from your refrigerator is now often high on the appliance wish list. 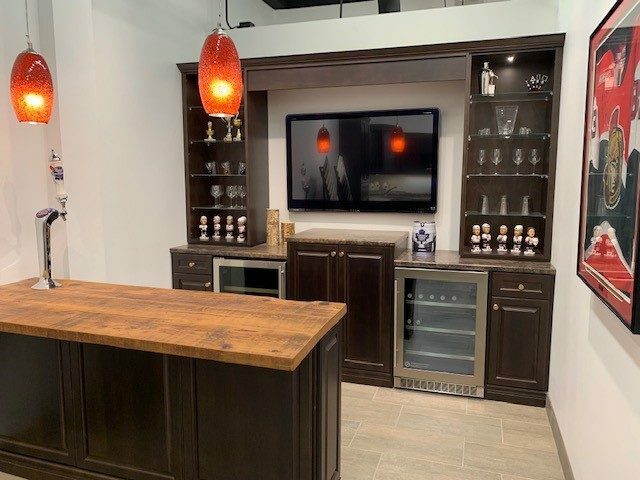 So, whether you need to be well stocked for a post-workout re hydration or an after work ‘wine down,’ incorporating a wine fridge is a useful appliance to neatly squeeze into your kitchen plan. 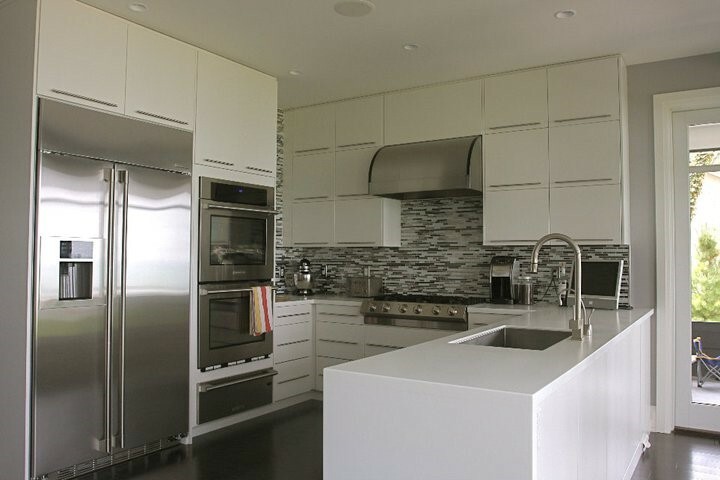 If you are on a budget, pairing different counter top materials can prove cost-effective. 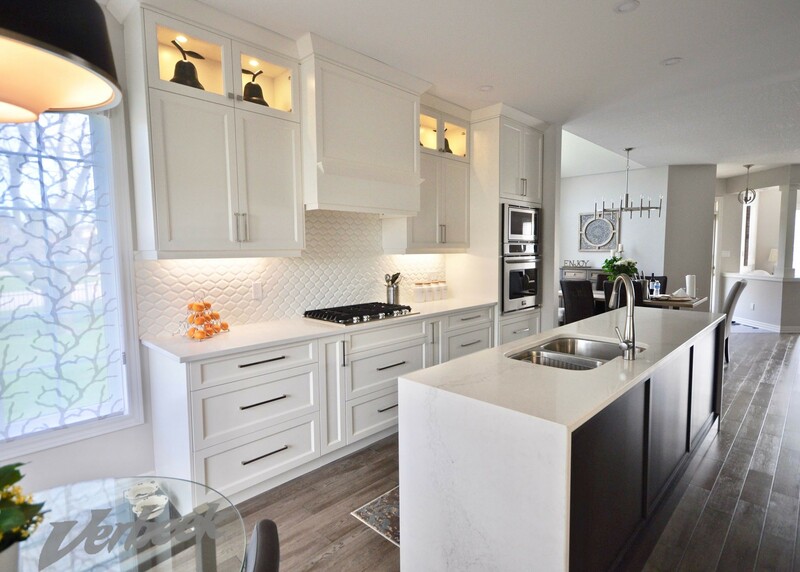 Add a stunning quartz or wood surface in a small area such as an island as a focal point and a more economical counter top to complete the look. The contrasting colours will also help to create a visual break up. 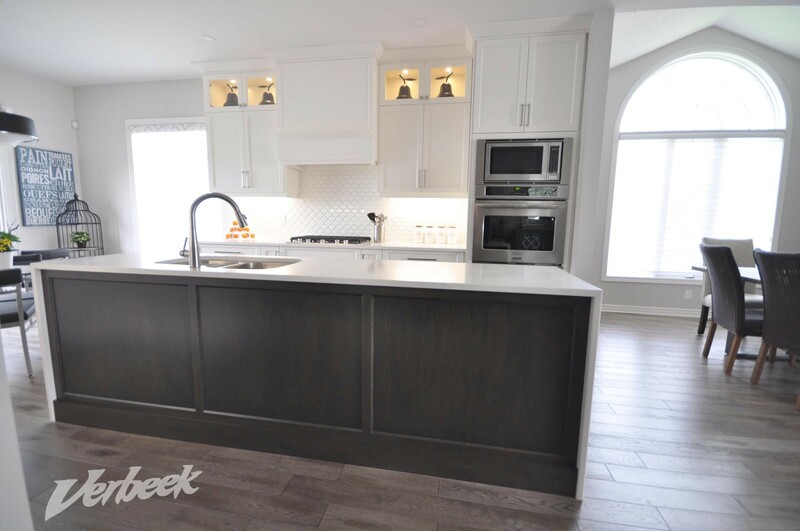 Waterfall style islands show off a statement counter top and create a visually appealing effect as the counter top edges appear to flow over the side of the surface down to the floor. It is easy to achieve and gives your kitchen a seamless finish and elegant look. Peninsula kitchen layouts work well in smaller kitchens. They are a stylish yet practical alternative to a kitchen island when your space is tight. Not only do they act as a room divider without compromising the light, they also create an excellent addition to seating for more relaxed occasions like breakfast or study time.